Leading Manufacturer of king size bedsheets, batik print bed sheet, block printed bed sheet, block printed tie n die bad sheets, indian shibori print bed sheet set and printed cotton bed sheets from Jaipur. Leading Manufacturer, Exporter, Supplier of Bedsheets from Jaipur. We provide a range of Bedsheets which includes Cotton Bedsheets, Handblock Print Bedsheets, Tie Dye Print Cotton Bedsheets, Batik Print Bedsheets , Printed Cotton Bedsheets etc. at affordable price. Leading Manufacturer, Exporter, Supplier of Bedsheets from Jaipur. 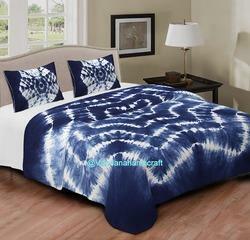 We provide a range of Bedsheets which includes Cotton Bedsheets, Handblock Print Bedsheets, Tie Dye Print Cotton Bedsheets, Batik Print Bedsheets , Printed Cotton Bedsheets, Bed Covers, Bed spreads, Bed throws etc. at affordable price. Leading Manufacturer, Exporter, Supplier of Bed sheets from Jaipur. 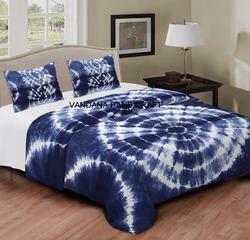 We provide a range of Bed sheets which includes Cotton Bed sheets, Handblock Print Bed sheets, Tie Dye Print Cotton Bed sheets, Batik Print Bed sheets , Printed Cotton Bed sheets, Bed Covers, Bed spreads, Bed throws etc. at affordable price. This is a screen printed tapestry, completely handmade. 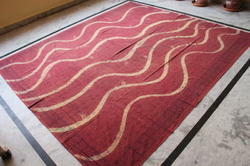 This can be used as a tapestry, bedspread, bade cover, table cloth, beach sheet or even as a throw. It adds a lot of color in any given room and spreads a very positive and joyous vibe. It’s an art piece, a collector’s item and provides a rich and vibrant feel. Looking for Bed Sheets ?